But What Will He Do When the Hearing Technology Is Off? 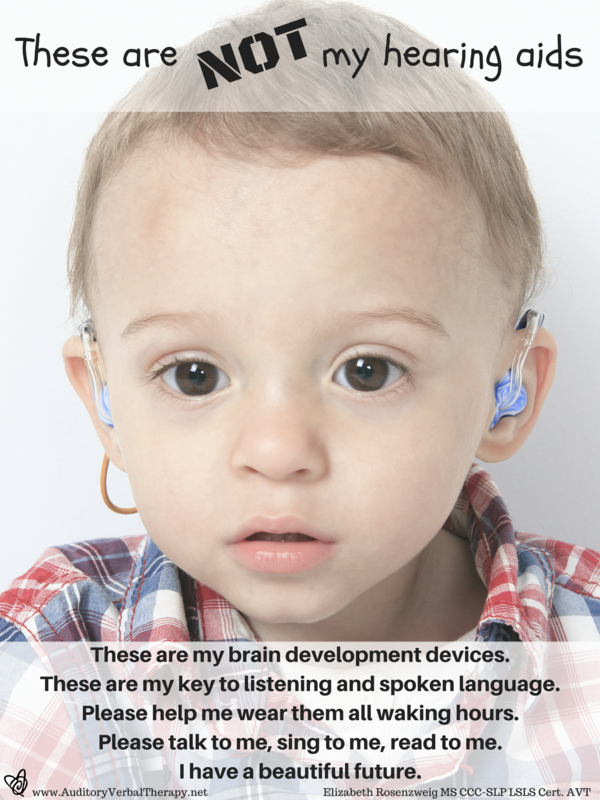 Are you a parent considering Auditory Verbal Therapy for your child? Are you a professional considering pursing Listening and Spoken Language Specialist certification? Are you a speech-language pathologist with deaf children on your caseload? Are you a teacher of the deaf looking to brush up on your spoken language strategies? This webinar is for YOU! Many of today’s children with hearing loss are growing up in homes and communities where they are exposed to multiple spoken languages. This presentation will address the issues involved in helping these children communicate effectively in diverse linguistic environments: foundations of bilingual language acquisition, common challenges, engaging families from minority languages and cultures, and how monolingual therapists can work effectively with families who speak another language. Children with multiple disabilities. Malformed cochleae. Late diagnosis. Impoverished family situation. Low parental involvement. Regression. Slow progress. What’s a therapist to do? Join me on Tuesday November 10, 2015 at 7PM EST for “More Than Just Ears: Hearing Loss, Balance, and Mental Health” a free webinar sponsored by Ear Gear and offered for continuing education credit from the International Hearing Society. Register below! Feel free to download and share this poster to raise awareness of the importance of cochlear implants. It may be used and shared for free in its original form with no edits and proper attribution. Please join me for a webinar on Tuesday June 16th at 7PM Eastern Standard Time. More Than Just Ears: Hearing Loss, Balance, and Mental Health in Seniors is a FREE webinar sponsored by Ear Gear and accredited by the International Hearing Society for continuing education credit. Coming this fall — stay tuned! Enjoy this recording of my 3/25/2015 webinar for the Cochlear HOPE series, “The Catch-Up Game: Working with Children Who Receive Cochlear Implants Late.” Click CC in the lower right corner for captions.